A decline in species-specific habitat quality that leads to reduced survival and/or reproductive success in a population e.g. related to changes in food availability cover or climate. 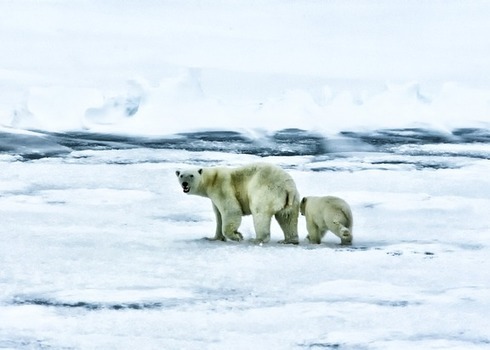 Habitat degradation due to the reduction of sea ice is known to affect polar bears (Ursus maritimus).